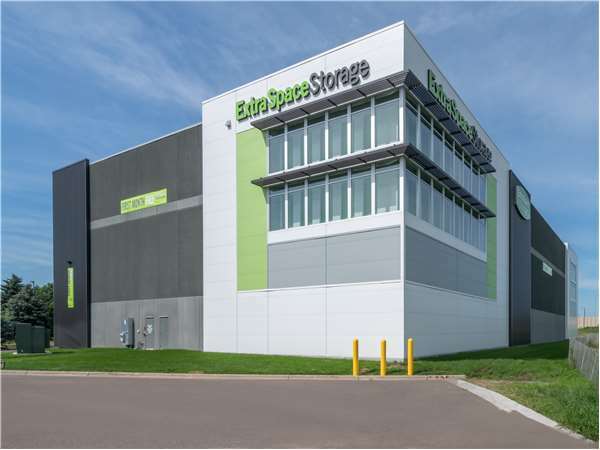 Located on Aspen Ln N just off Country Rd 81 and 85th Ave N, Extra Space Storage serves residents of Brooklyn Park, Osseo, Maple Grove, and Brooklyn Center. Locals will recognize our facility behind Taco Bell and Perkins Restaurant. Extra Space Storage on Aspen Ln N offers a variety of storage units, exceptional security, climate-controlled storage, and drive-up access access. 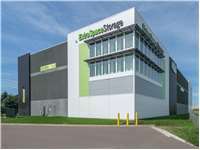 We're your go-to self storage partner in Brooklyn Park! No matter what you plan to store, our Aspen Ln N storage facility has the storage space for you! Units range in size from 5x5 to 10x30 and come with convenient features like first-floor access, elevator access, and drive-up access. Extra Space Storage cares about the safety of our customers. That's why we've equipped our Brooklyn Park storage facility with 24-hour video surveillance and security access to your floor only. Worried about sensitive items being damaged by extreme heat or cold? Climate-controlled units stay between 55 and 80 degrees year-round, providing the protection you want for your delicate belongings. For the ultimate convenience, rent a drive-up storage unit! These units allow you to pull a vehicle directly up for quick, easy unloading and loading. Drive-up access is perfect for storing large, heavy items. At Extra Space Storage, we believe our customers deserve the best. That's why we strive to deliver high-quality self storage with great service for each and every customer. We truly care about your satisfaction, so don't hesitate to reach out if you have questions or need assistance. Contact us today to reserve a storage unit in Brooklyn Park! Drive south on US-169 S. Take the exit for County Rd 81/Bottineau Blvd. Keep left at the fork and follow signs for Bottineau Blvd/85th Ave N. Turn right onto 85th Ave N. Turn right onto County Rd 81. Turn right onto 4th St SE. Turn right onto Aspen Lane N. Our facility will be on your left. Drive north on US-169 N. Take the exit for County Rd 81/Bottineau Blvd. Stay in the middle lane. Turn left onto 85th Ave N. Turn right onto County Rd 81. Turn right onto 4th St SE. Turn right onto Aspen Lane N. Our facility will be on your left. Drive west on 85th Ave N. Pass US-169 and continue west. Turn right onto County Rd 81. Turn right onto 4th St SE. Turn right onto Aspen Lane N. Our facility will be on your left. Drive east on Weaver Lake Rd. Continue onto 85th Ave N. Turn left onto County Rd 81. Turn right onto 4th St SE. Turn right onto Aspen Lane N. Our facility will be on your left.